Presented by TV celebrity Rob Palmer, former The Block contestant Luke, Perth radio host Lisa Fernandez and a surprise visit from The Block’s Ronnie and Georgia. 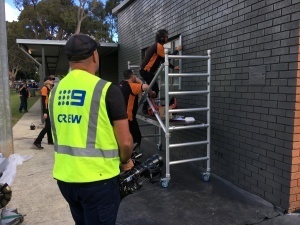 OzShut along with other Perth businesses and volunteers from the community surprised the Kelmscott Junior Football Club with a makeover of their club rooms. It was a busy and fun filled day working against the clock with only one day to complete the renovation. After removing the old, rusted security grate from the club’s kitchen window, OzShut donated and installed two Roller Shutters in one of our beautiful new colours, Metallic grey. Along with a fresh coat of dark grey paint the look of the building was completely transformed. The external Roller Shutter means the clubs brand new kitchen is secured from would be burglars while also now giving them a clear view out of the kitchen window when the Roller Shutter is raised. Much better than the permanent view of the jail like bars!! The original kitchen window with security grate. View of the Roller Shutters from inside the kitchen. An internal Roller Shutter was then installed on the servery window to complete the kitchen’s security and to allow easy opening and access when food and drinks need to be served. Along with much needed new kitchen cabinetry, sink, splash back and paint the club has a much more functional and attractive kitchen for the hundreds of parents and children that use the club rooms each week. All the volunteers including our own OzShut team members worked tirelessly throughout the day to have the renovation completed before sunset ready for the big reveal. As you will see from watching the episode it was a huge success!! 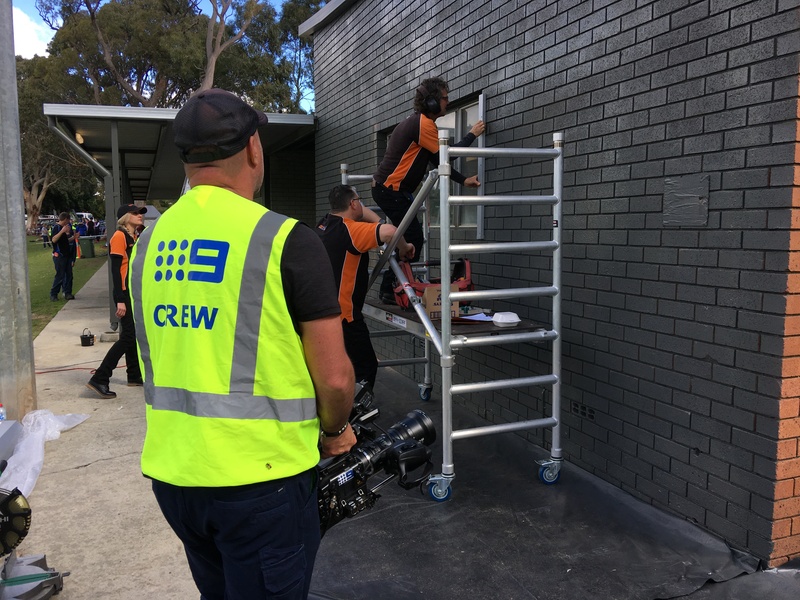 OzShut would like to say a massive thank you to Channel 9 for the opportunity to be a part of such a special community event. We hope the members and kids at the Kelmscott Junior Football club will now enjoy their beautiful club rooms and especially their stunning new OzShut Roller Shutters for years to come!